In Kenya, recurring drought conditions and sudden cold spells have affected the quality of potatoes and other staples across the country. “The cold damages potato vines with frostbite while heat makes them wilt,” Peris Mukami, a farmer from Timau village in Meru County, told Euractiv.com. She revealed that her potato yields had declined by over 10 per cent in the past two years as a result. 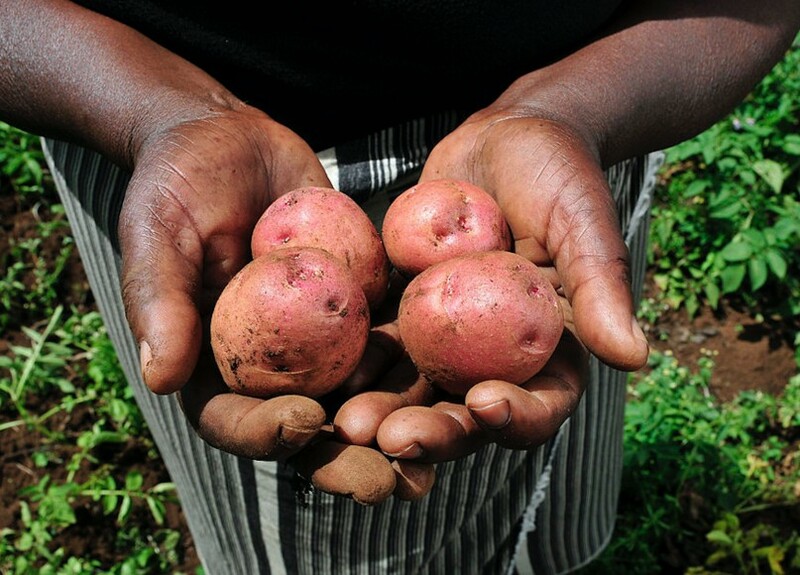 In response to this challenge, Kenyan potato farmers are increasingly turning to contract farming, organising production contracts with food processors, through the East African Potato Consortium. Through working with the consortium, farmers can get access to better fertilisers and seeds that are more resilient to harsher conditions. They also receive a guaranteed price for the crop, provided the potatoes are of a good quality, according to Wachira Kaguongo, head of the National Potato Council. “Thanks to this contract I can earn up to 22,000 Kenyan shillings (US$213) per season,” said Samuel Macharia, a farmer in Kipipiri. Macharia’s potatoes now fetch 22 shillings (US$0.20) per kilo, more than double what he would get at the Kipipiri open-air market. According to the contract, Macharia will sell at least two tonnes of potatoes to food processors each harvesting season for the next two years. Contract farming has enabled Kenyan farmers to start selling produce to food giants like fast-food chain KFC. The consortium was set up in 2016 by the National Potato Council, the Alliance for a Green Revolution in Africa and the Grow Africa partnership. Its aim is to increase private investment in agriculture by connecting potato farmers with food processors across the country, according to Kaguongo. Each production deal is reviewed and approved by the National Potato Council, which guarantees that it is fair to both parties, said Willy Bett, cabinet secretary of the Kenyan Ministry of Agriculture, Livestock and Fisheries. According to Kaguongo, 5,000 farmers have signed up to the system so far, with a total of 23,000 predicted to have made the switch by 2020. However, Felix Matheri, a researcher at the International Centre of Insect Physiology and Ecology, argued that, although contract farming provided farmers with a steady income, it risked depriving poor families of their food supply. “Contracts bind farmers to supplying an agreed amount of potatoes, meaning that when the harvest is low farmers are forced to sell all their produce to meet their obligations,” he explained. Louise Wangari, a roadside seller of potatoes in Nyandarua County, expressed concern that such contracts might reduce the volumes she received from farmers.